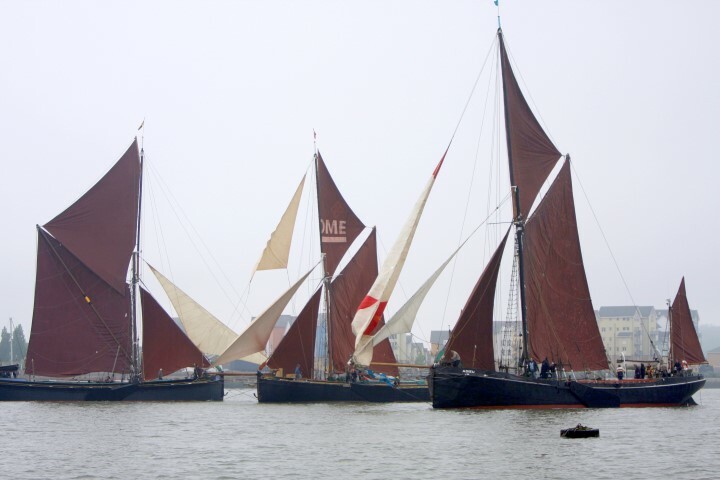 The spectacular annual barge match will start at Gillingham on Saturday morning, probably quite early as HW is at 0530. The barges race out to the Medway Approach Buoy and back up the river. 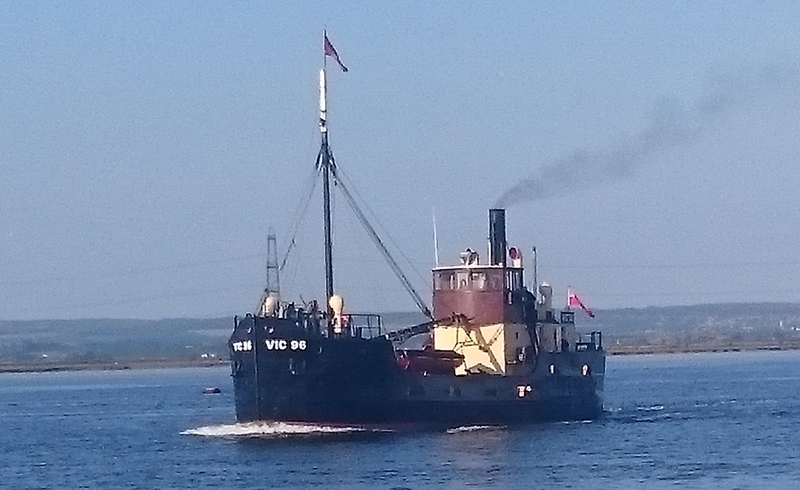 The June 2016 issue of Yachting Monthly featured an article on the Medway Barge Match by Nick Ardley. 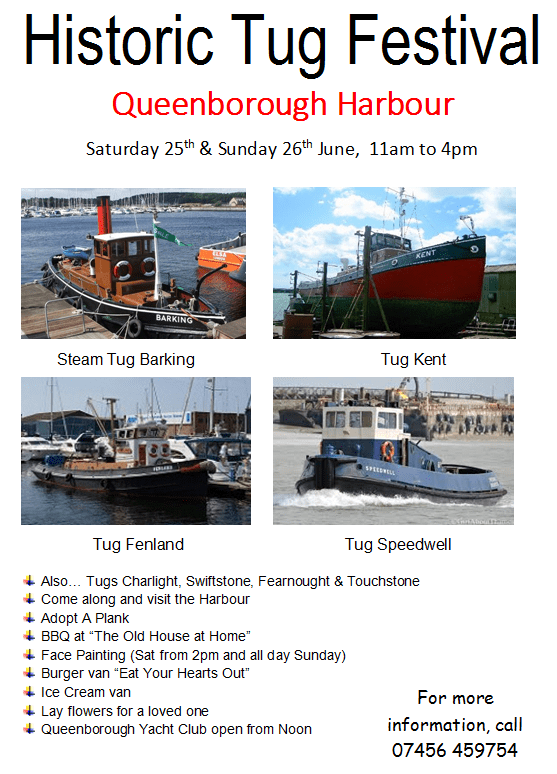 Visit Medway Barge Match website. The Sheerness Lifeboat team reports that a man clinging for his life to a buoy for two hours in the dark in the Medway Estuary was rescued by a Good Samaritan and Sheerness RNLI lifeboat volunteers. The 64 year old man had transferred from his yacht moored in Halstow Creek to a dinghy which then capsized, leaving him in the perilously cold water alone at night. Eventually the man’s cries for help were heard by someone in a nearby house sparking an emergency 999 call to the Coastguard and a late night launch of Sheerness RNLI’s inshore lifeboat Eleanor at 12.05am on Thursday 19 May. The ILB crew had earlier been called at 5.55pm on Wednesday 18 May to assist in the recovery of a body found in the water at Strood Pier. Follow the RNLI Sheerness Lifeboat’s activities on Facebook. Try sailing at Medway Yacht Club’s open weekend from Friday 20 May to Sunday 22 May. Wilsonian Sailing Club has an open day for you to try dinghy sailing on Saturday 21 May. Medway Watersports Centre is offering dinghy sailing tasters at The Strand, Gillingham, in Wayfarers and Leaders on Saturday 21 May and Sunday 22 May. Structural inspection works and span closures will commence on Rochester Old Stone Bridge from 17-23 May 2016. A rope access team will operate on the underside of the Rochester Old Stone Bridge. Only one span will be closed to navigation at any one time. A closed span will be identified by the suspension of three RED discs at the points of an equilateral triangle with the apex downwards and the base horizontal; by night by three RED lights in a similar position to the discs exhibited by day. The RED discs or lights will be suspended from the centre of the span. The safety boat ‘Protector’ will be in attendance and will maintain a listening watch on VHF Ch74. According to East Coast Pilot, the bridge will open only at 10 minutes past the hour on Mondays to Saturdays, and 15 minutes past the hour on Sundays, until the refurbishment of the motors has been completed. Have you seen my dinghy? YES! If you have any information, please call Ken on 07885 595393. UPDATE: As a result of this website publishing this appeal, Ken has foudn out that his dinghy was recovered by the Sheerness lifeboat.